Two of Burton’s recent movies featured the writing, either the screenplay or the base novel, of Seth Grahame-Smith. He wrote the script for Dark Shadows and the Burton produced Abraham Lincoln: Vampire Hunter was based on his source novel. Grahame-Smith along with David Katzenburg have penned a working script for the Beetlejuice sequel. Of course, Michael Keaton would return as the title character. Kind of like having anyone other than Burton direct, who else could give us the face of Beetlejuice?! That’s crazy talk! This isn’t like Batman, where anyone in a cowl could replace him. This is NOT my opinion. I think Keaton should have continued the Bruce Wayne role, too! Whether or not Burton agrees to direct this project, he still has other projects on the active front. He’s currently in the post-production phase of Big Eyes, a drama centered on the painter Margaret Keane and the legal troubles she ensued after her husband took credit for her work in the 1960’s. On deck after that is a film adaptation of Ransom Riggs’ novel, Miss Peregrine’s Home for Peculiar Children for Fox. But, Keaton really deserved an OSCAR for his role as Beetlejuice. 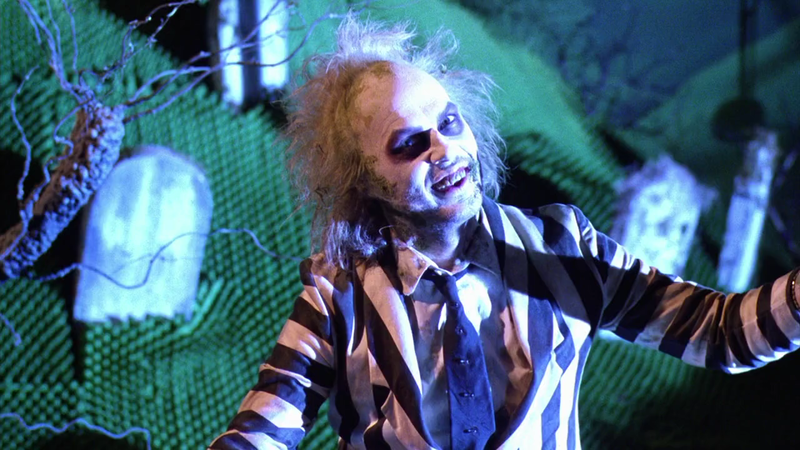 Beetlejuice 2 Might Actually Happen!!! This entry was posted on Tuesday, October 22nd, 2013 at 10:37 pm	and is filed under Film, News. You can follow any responses to this entry through the RSS 2.0 feed. You can skip to the end and leave a response. Pinging is currently not allowed.